To put it simply: links must be earned – and the best way to earn links is through great content. 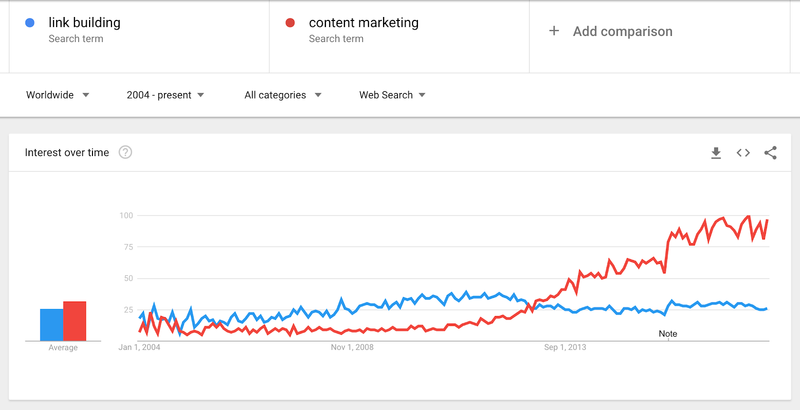 Just months after Google first rolled out their Penguin algorithm, “content marketing” began to receive greater traction as a search term while “link building” quickly saw a decline. With this in mind, it’s no surprise that links are one of the key SEO metrics for content marketing. Links matter, and that’s not going away. You need to know how to track links as a metric. However, it’s important to understand that it isn’t about the volume of links. Rather, it’s about the quality of those links. So, just how do you go about tracking links? You’ll need to use one or more tools to do so, ideally a mix of a number of different ones. SEMrush Backlink Audit / SEMrush Backlink Analytics. The main justification for using a selection of link index tools is to ensure you’re picking up as comprehensive a link profile as possible. Not every tool will index every single link, so it’s best practice to use at least a couple. While Google Search Console is a free tool, it doesn’t offer the same metrics as the paid tools do. You’re probably already using it, however, and it’s a great way to determine an overview as to links pointing to a page. You can do this via: Search Console > Search Traffic > Links to your Site > Your most linked content > URL. You’ll then see an overview of the links Google has indexed that point to that URL. Really, however, this tells you very little; given that relevancy and authority matter far more than the volume of links. For that reason, it’s worth investing in at least one pro tool set to help you understand your link profile a little better and identify key SEO metrics. Regardless of which index you’re using, each has its own quality score metric which will allow you to begin to understand the quality of links. In short, the better the score, the better the link. Don’t discount relevancy, however, as it’s important to earn links which pass relevancy as well as those which pass authority; with the sweet spot being highly relevant, authoritative links from top-tier sources. As a simple rule, links are always going to be a key SEO metric for content marketing campaigns and it’s worth taking the time to understand what constitutes a quality link in more depth. Link building is one of the most commonly discussed SEO concepts, not surprising given the ranking power which they have. What though, can you do to earn links to a site or a piece of content? As a general rule, and abiding by Google’s webmaster guidelines, you need to create a great piece of content which other people want to link to. Something unique and something useful. It’s then a case of getting this content in front of those who have the potential to link; be this through email outreach, promotion on social media or even the classic approach of picking up the phone. Think journalists, bloggers, influencers – anyone who is creating content stands the potential to link through to relevant content, as long as it’s good enough! For more ideas, check out SEJ’s Link Building Guide. If you want to earn organic search traffic to a piece of content, it goes to say that it’s going to need to rank in prominent positions on Google, Bing, and other search engines in order for this to happen. This in itself makes rankings an important SEO metric, however perhaps not one quite as important as it once was. In fact, it’s a fairly amateur mistake to place a strong emphasis on rankings alone. Because of a multitude of factors including personalized search, position zero, ad space, local pack listings and a range of others. In short, it’s become increasingly difficult to accurately track the ranking position of a search term. The bigger question, however, is: how important are rankings? On their own, not very. In fact, rankings are pretty meaningless unless combined with other metrics, such as organic traffic, impressions, and click-through rate (CTR). This is why you need to understand how to determine both search queries and the associated ranking positions. You can invest in rank tracking tools (SEMrush Position Tracking tool, Searchmetrics, Moz offer great solutions) if you so wish, however for the most part, you can obtain the metrics you need from Google Search Console. In order to do this (looking specifically at the stats for a single piece of content, as an example) simply use the Search Console and navigate through: Status > Performance. Choose Page and this will then allow you to filter via a specific URL. Enter the URL and you’ll be served with the queries which it has received impressions under. Click into a query and you’ll see the average position over the selected timeframe. You can then also filter by position if necessary. Positions alone may not be a main metric for many. However, don’t underestimate the power of search query data when used with others. Perhaps more important than ranking position is the organic search traffic content receives. Eyeballs on pages is what has the potential to convert into business. For most, this should be one of the key metrics not only to be tracking (and comparing to previous periods) but also to continually consider how this can be improved upon going forward. Combine this with search query data and you’ve got some very powerful data upon which you can make solid decisions to inform strategies. Luckily, identifying organic search traffic is fairly straightforward. You’ll need access only to Google Analytics and Google Search Console (and Bing Webmaster Tools) to do this. First things first, you’ll want to understand how organic search traffic to a piece of content stacks up against other channels (including paid search, social, and referral). Jump into Google Analytics and navigate to: Behavior > Site Content > All Pages. This will then allow you to view traffic by source over the selected timeframe. Importantly here, you can see how organic search is performing against other channels. Select, instead, a secondary dimension of Source/Medium and you’ll be able to also compare organic search traffic against different search engines (e.g., Google vs. Bing vs. Yahoo). On its own, organic search traffic data tells you only how much traffic your site or a page received through organic search, not the search queries this came from, the potential search traffic, and your organic CTR. Once you’ve gathered data relating to specific queries, you’re in a position to make informed decisions on how to see growth moving forward, especially when combined with ranking position data. High impressions but low clicks as a result of a poor CTR. A focus upon improving CTR is needed. Low impressions but high CTR. Perhaps consider researching other keywords to optimize the content for to increase impressions. You’re collecting data that allows you to make important decisions and take action based upon that which is needed; not simply upon traffic alone. You can see the opportunities, how searchers are engaging with your ranking results and the clicks currently being driven. To collect this data, it’s back to Search Console and a return to the filter applied to see ranking position metrics. Choose ‘Page’ and this will then allow you to filter via a specific URL. Enter the URL and you’ll be served with the queries combined with data for impressions, clicks and organic CTR. On the other hand, in Bing Webmaster Tools you can run a Search Keywords Report to see which search terms are driving impressions and, more importantly here, clicks from Bing and Yahoo. You’ll find this within the Reports & Data tab. The objective of the majority of SEO campaigns is to drive some sort of conversion from visitors, be that hard conversions (e.g., a purchase from an ecommerce store), soft conversions (e.g., email signups from a blog), or something in-between. With this in mind, it’s important that you’re tracking organic conversion rate, which is the percentage of visitors taking a predefined action against a goal. This metric will give you specific insight into how this stacks up against both the site as a whole and other content, as well as highlighting instances when this is low and there may be opportunities to make improvements to drive increased conversions. 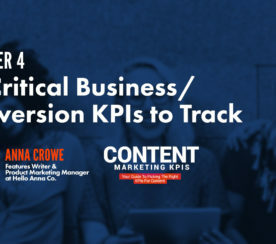 First things first, you need to know what you’re tracking as a conversion. 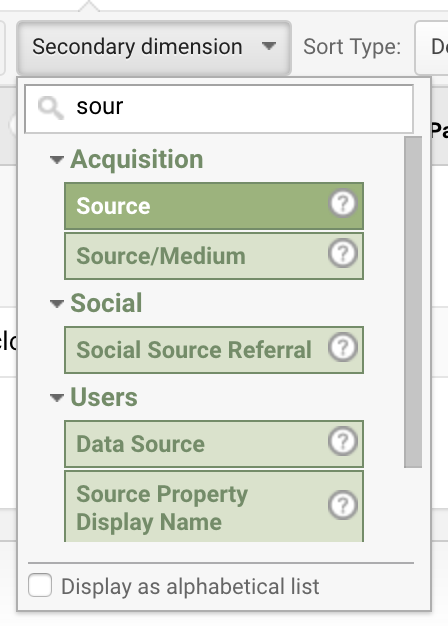 Fingers crossed you’ll already be tracking goals in Google Analytics. However, when it comes to content marketing specific goals, this likely goes deeper than say the overall conversion goals of a site. Whether you’re tracking sales, leads, email signups or even time on page (triggering, let’s say, the addition to a remarketing list if an engaged user consumes content for more than a set time period), so long as these are set up in Analytics you can easily identify the organic conversion rate of a page. To note: If you’ve not already set up goals, you can read how to do so here. Assuming you’ve got goals set up, head straight into viewing the page you’re wanting to track the conversion rate for: Acquisition > All Traffic > Channels > Organic Search. From here you can choose the goal which you want to view the data for, or view all goals combined. With Google moving to their mobile-first index, it’s become more important than ever to understand how your site and content is optimized for mobile search. With this in mind, the metrics you track across the site as a whole will likely need to be broken down by device type. When it comes to mobile rankings, it’s important to understand how content performs across both mobile and desktop devices, allowing you to make improvements as necessary to see gains in visibility. Again, you can certainly consider paid tools to track and monitor your mobile rankings. However, this can also be achieved through Google Search Console. To here, it’s the same as it would be when you’re looking at overall data. 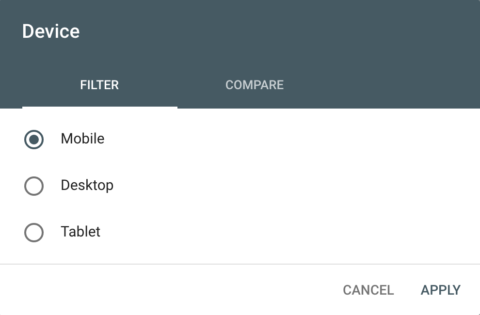 You can then select mobile, tablet, or desktop data (or compare two of these). Once you’ve filtered, you’ll be able to view device-specific average ranking position at search query level as well as stats including total clicks, total impressions, and average CTR. In a mobile-first world, it’s important to understand just where your organic search traffic is coming from. Is it desktop or mobile devices? To understand this, you simply need to know how to filter Google Analytics by device. Thankfully, it’s fairly straightforward: Behavior > Site Content > All Pages > Secondary Dimension: Device Category. Select a specific URL and you’ll then be served with a breakdown of traffic stats by mobile, desktop, and tablet devices. 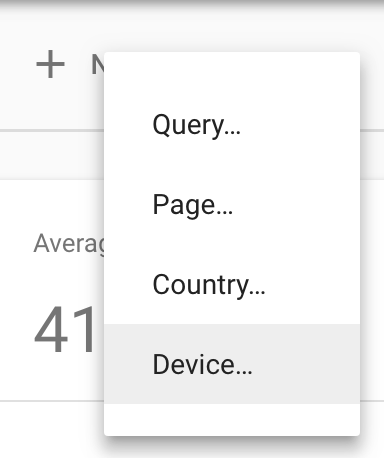 Alternatively, to see device statistics for the site as a whole, simply navigate to: Audience > Mobile > Overview. This is where things get a little more complex! Accelerated Mobile Pages (AMP) make it possible for your content to load almost instantly on mobile devices. That means a better user experience and hopefully better engagement. More than two years ago now, Google introduced AMP into its mobile search results and, with that in mind, there’s a need for marketers to understand how such pages are performing for them. There’s every chance you’ll want to track many of the metrics listed above, as well as a whole host of others, but by default, you won’t be able to do so in Google Analytics. You need to be using the AMP Analytics tag on your mobile pages in order to do so. You’ll also need to ‘disclose how Analytics collects and uses data, and offer users the opportunity to opt-out of Analytics’. Thankfully, for most content marketers, that’s sufficient. You can read documentation on the AMP Analytics tag here. Once implemented, you’ll be able to start breaking down traffic data by AMP vs. non-AMP sessions. 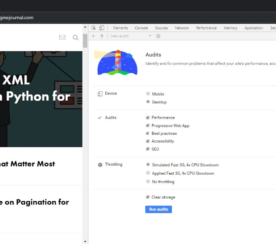 As standard, Google Analytics sends the value “AMP” within the data source dimension, and this can be used to filter and analyze AMP vs. non-AMP sessions within a single view. To make your AMP pages perform well, make sure that they are built without any technical errors. Check your AMP pages one by one using official AMP project validator, or use SEMrush Site Audit for bulk checking. Google has been using page speed as a ranking factor for some time. However, it’s a metric which is commonly confused with site speed. Site speed is the page speed for a sample of pages on a site. Page speed is either the page load speed or time to first byte of a specific page. Perhaps, unsurprisingly, a better page speed results in a better user experience and Google are rewarding for this as a ranking factor. Thankfully, Google make it nice and easy to understand page speed with their own PageSpeed Insights Tool. 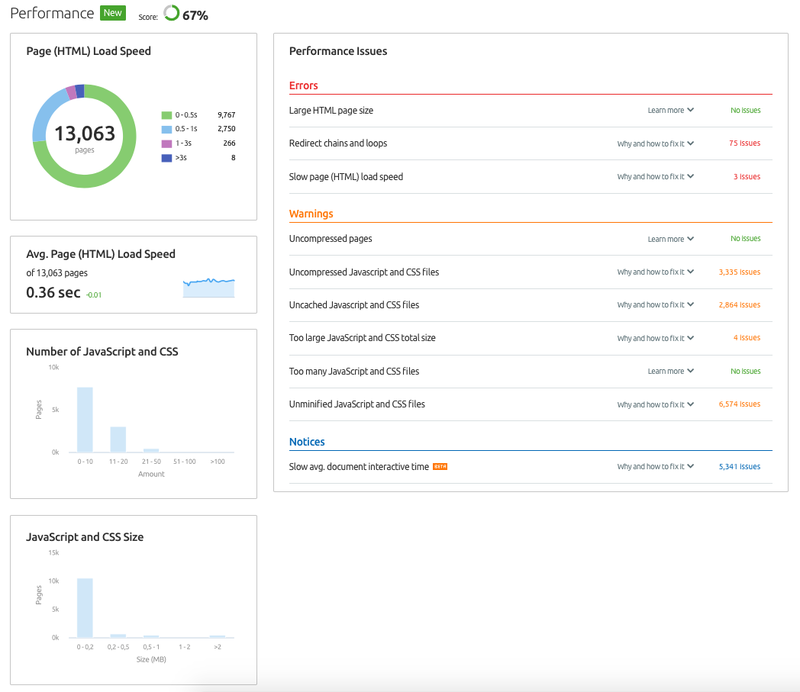 Run a URL through the tool and you’ll be served with stats across both mobile and desktop as well as suggestions on ways to optimize performance and improve page speed. As of recently, these stats now include speed data from the Chrome User Experience report. To perform bulk checks, you can set up SEMrush Site Audit. Crawl errors occur when a search engine bot attempts to crawl a URL but is unable to do so. As a general rule, crawl errors mean a bot has experienced a dead end; they were unable to crawl something which they were led to through a link, and these need resolving. Google typically categorizes crawl errors either into site errors or URL errors; with the former applying to the entirety of a site (meaning it cannot be crawled) and the latter relating to specific URLs. Site errors are commonly either DNS or server errors while URL errors most often relate to 404 (Not Found) errors. Bottom line: crawl errors of any sort need fixing, which means they need to be monitored regularly. Thankfully, both Google Search Console and Bing Webmaster Tools report on crawl errors quite openly. You can also determine such issues using desktop tools Screaming Frog SEO Spider and Sitebulb. However, it isn’t always convenient to use desktop tools, so there are a lot of different cloud based solutions like SEMrush Site Audit or Ryte. In Bing Webmaster Tools you can view crawl errors within the crawl information report in the Reports & Data section. Perhaps one of the most commonly overlooked SEO metrics is the index status of a site. This data allows you to understand the URLs which the search engines have tried to (and do) index. It’s data which can assist you in determining indexation issues which result either from pages being incorrectly blocked from the search engines or even the indexation of duplicate URLs from filters, query strings, and the like. Ideally, you want to see a gradually increasing graph which showcases that your site is being indexed properly as it grows in size. Any sudden drops or unexpected sharp increases need exploring further to determine the cause. To view an index status report for your site, head to Google Search Console and navigate to Google Index > Index Status. You can then view either a basic or advanced report, with the advanced returning data also for URLs blocked by robots.txt and removed. Perhaps one of the most basic SEO elements is ensuring each page has a unique title tag and meta description. However, it’s something which can be easily overlooked when working on large sites. Even when a site has entirely unique titles and descriptions across every page, over time duplicates can occur. It’s important that you keep a check on these to allow you to put in place changes to ensure these errors don’t become a problem that impacts the ranking potential of content. Thankfully, you don’t need anything more than Google Search Console to allow you to understand any duplicate titles and descriptions and resolving these issues is simply a case of implementing rewrites with unique content. To see a list of duplicate titles and descriptions which Google has picked up on, navigate within Search Console to: Search Appearance > HTML Improvements. In an ideal world, all of these will show 0 pages in the right column, meaning no issues have been detected. One of the most hotly talked about topics within SEO in recent years is that of dwell time, a user-based metric which search engines use to measure how long searchers stay on a page before returning to the SERPs. It’s a metric which is commonly confused either as being solely bounce rate or time on page, but in reality it’s a complex one utilizing the two. It’s also, somewhat frustratingly, not a publicly available metric. You can’t see it (or improve it) using Analytics or Search Console. Bottom line: if a user is spending more time on a site, engaging with it, and not bouncing, that’s a great signal to search engines that the site is high quality. Compare that to a site where session time is far shorter, bounce rate is high, and content isn’t being engaged with or fully consumed. Sounds like a low quality site, yeah? The main thing to understand here is that user-metrics do matter for SEO, even more so now than ever before. As such, it’s important to take the time to analyze and improve these where possible. Better dwell time typically means better SEO performance. While you may not be able to pull this down as a metric, don’t forget you can easily see both the time on page and bounce rate for both your site as a whole and for specific pages. Simply navigate to: Behavior > Site Content > All Pages > URL. While it isn’t dwell time, keep an eye out for a lower than average bounce rate and a higher than average time on page. It’s the best we’ve got (for now), but at least goes someway to helping us to understand the potential dwell time. It’s important to understand that SEO metrics are vital to the success of any content marketing campaign. 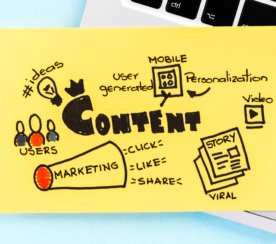 Without attention being paid to SEO, content is unlikely to deliver its full potential, which means you’re missing out on valuable traffic and potential conversions. 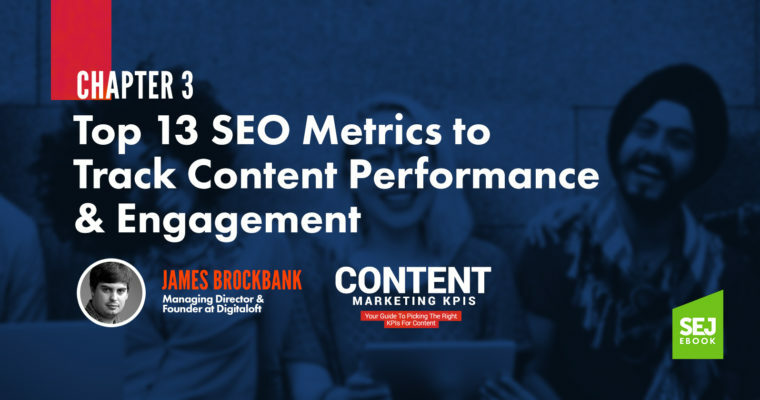 But, that aside, it’s equally as important to remember that SEO metrics are just one group of KPIs to consider when running content campaigns. You also need to pay close attention to the likes of social metrics, conversion metrics, and user engagement metrics. SEO is just one, very important, part of a successful content marketing campaign but, for many, forms the foundations.